Patrick O'Grady received his B.S. in Biology from Clarkson University (1993) and conducted his doctoral research with Dr. Margaret Kidwell at the University of Arizona where he received his PhD in Genetics (1998). He was a postdoctoral fellow with Dr. Rob DeSalle at the American Museum of Natural History (1998-2003). 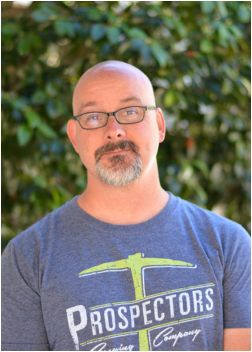 Patrick has been a faculty member at the University of Vermont (2003-2005) and the University of California at Berkeley (2005-2017). He is currently a Professor in the Department of Entomology at Cornell University (2017-present) and Director of the National Drosophila Species Stock Center. Dr. O'Grady's research focuses understanding the patterns and processes that generate and maintain biological diversity. Research projects in his laboratory cover a range of biological disciplines including morphology and taxonomy, phylogenetic systematics, population genetics, molecular evolution and genomics to examine the evolutionary history of endemic Hawaiian Insects, particularly flies in the family Drosophilidae. The National Science Foundation, the United States Forest Service and the Gordon and Betty Moore Foundation have provided funding for his research. He has authored over 100 papers, described 80 species, and has two taxa named after him, a leaf hopper (Cicadellidae: Nesophrosyne) and a long-legged fly (Dolichopodidae: Campsicnemus). 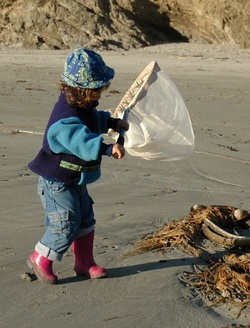 Paceyn collecting ephydrids and canacids, Ft. Bragg, CA, February 2011. Nina is interested in the ecology, evolution and phylogeny of Canacidae (Beach Flies). While this group is worldwide in distribution and highly tolerant to saline environments, some Hawaiian lineages have lost their ability to tolerate saline habitats and occupy fresh water streams. She is also exploring the genetic architecture of salt-tolerance and how it has evolved across the fly tree of life. Her research is in genome evolution, entomology, ecological shifts, and island biogeography. My research interests lie in the insect order Diptera (true flies), I am especially interested in parasitoid evolution within Diptera. A group of particular interest are the Bombyliidae or bee flies, this large family of flies have parasitic larvae and are important pollinators as adults. Using next-generation sequencing, phylogenetic and taxonomic methods I will explore the systematics and parasitoid evolution of this diverse family.